Be the first to share your favorite memory, photo or story of Rex . This memorial page is dedicated for family, friends and future generations to celebrate the life of their loved one. 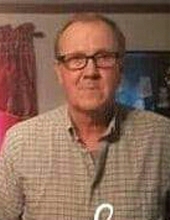 Rex Lafferty, age 70 of Martin, Kentucky, passed away on Wednesday, January 30, 2019 at Pikeville Medical Center, Pikeville, Kentucky. He was born January 19, 1949 in Floyd County, Kentucky to the late Ironton & Pollie Stephens Lafferty. He is the husband of Sandy Tyson Lafferty. He was a retired construction worker and a member of McDowell First Baptist Church. Along with his wife he is survived by his Son: Adam Lafferty of Prestonsburg, Kentucky; Daughter: Diana Lafferty of Wheelwright, Kentucky; Brothers: Ruben Lafferty of Ashland, Ohio & Ironton Lee Lafferty of Martin, Kentucky; Sisters: Bertha Mae Lafferty Smith of West Liberty, Kentucky, Magdalene Lafferty McCall of Mansfield, Ohio & Juanita Lafferty Bevins of Banner, Kentucky; 7 Grandchildren & 10 Great Grandchildren. Along with his parents he was preceded in death by his Brother: Green Lafferty; Sister: Ruth Jacobs; Grandson: Seth Addison Lafferty. He will be missed by all that knew and loved him. "Email Address" would like to share the life celebration of Rex Lafferty. Click on the "link" to go to share a favorite memory or leave a condolence message for the family.